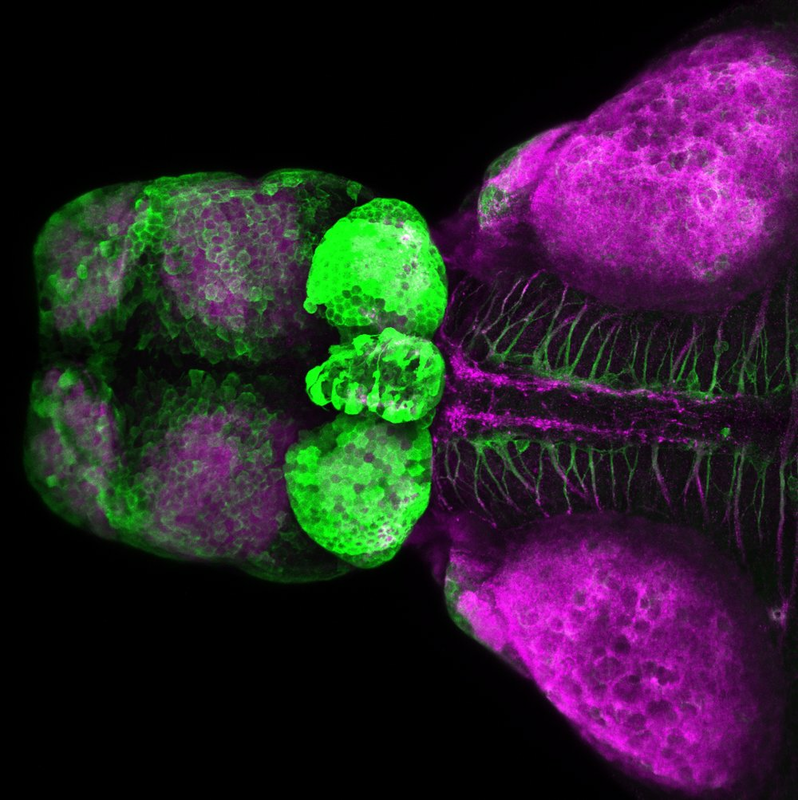 A GFP enhancer trap line from the Kawakami lab that labels the olfactory bulb, pallium, pineal, habenula, pretectum, optic tectum, torus longitudinalis, hypothalamus, pituitary. olfactory bulb, pallium, pineal, habenula, pretectum, optic tectum, torus longitudinalis, hypothalamus, pituitary. 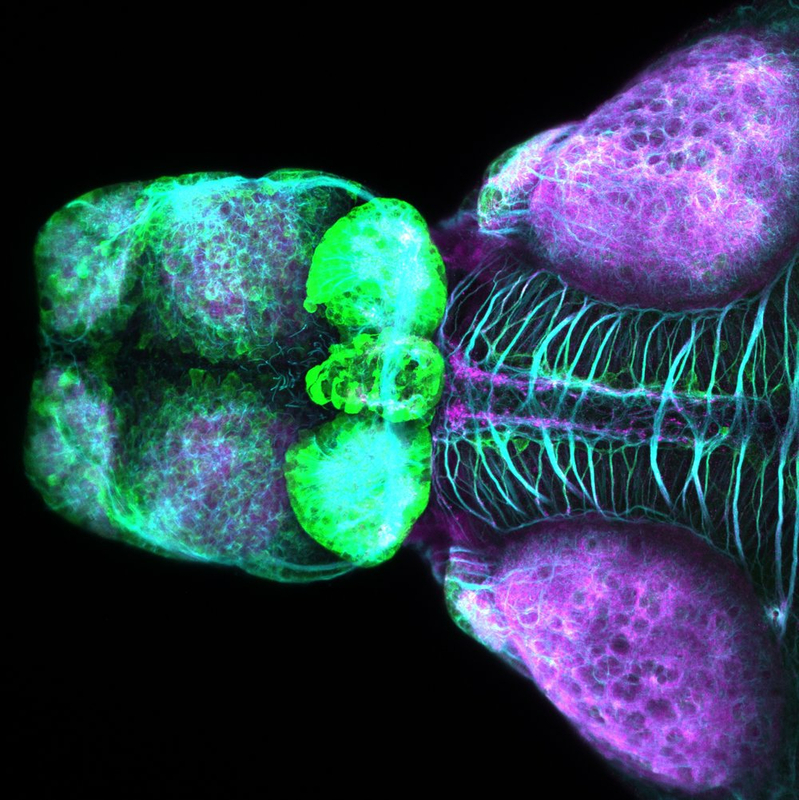 The Tol2-mediated Gal4-UAS method for gene and enhancer trapping in zebrafish. Methods (San Diego, Calif.). 49(3):275-281. 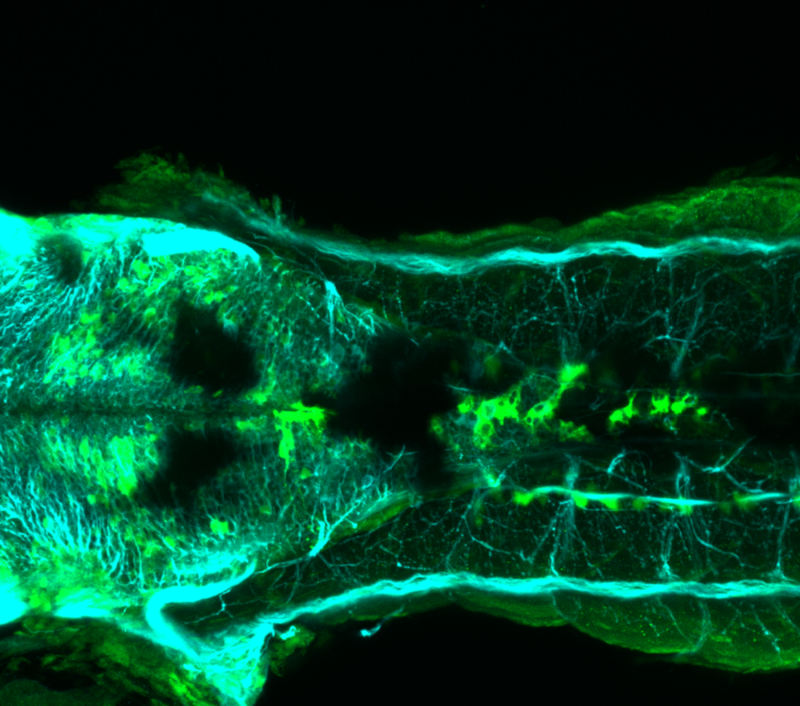 This enhancer trap construct carries the EGFP gene controlled by a partial epithelial promoter from the keratin8 gene. Parinov, S., Kondrichin, I., Korzh, V., and Emelyanov, A. 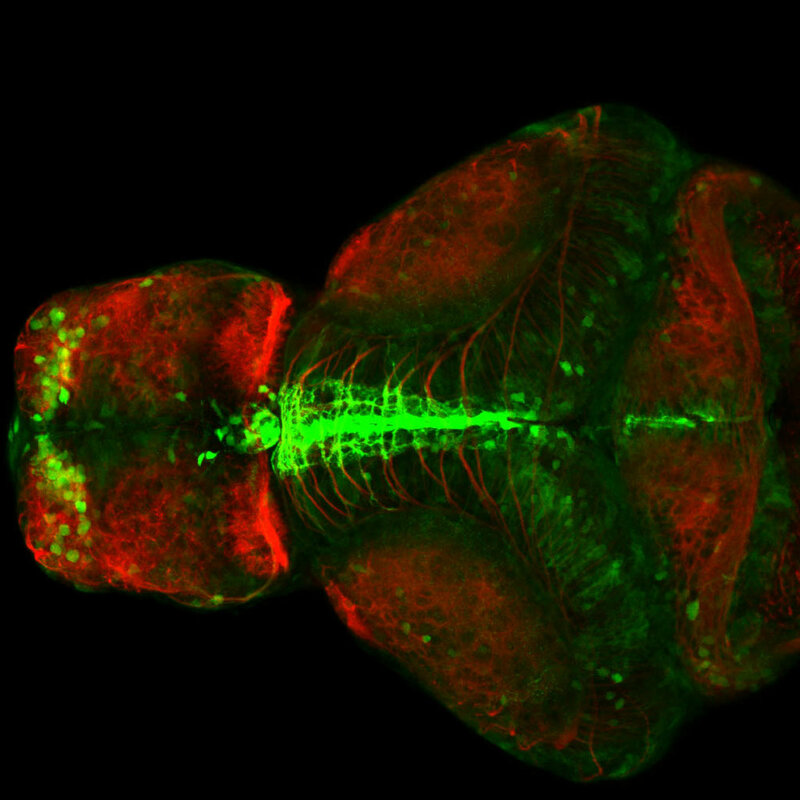 (2004) Tol2 transposon-mediated enhancer trap to identify developmentally regulated zebrafish genes in vivo. Developmental dynamics : an official publication of the American Association of Anatomists. 231(2):449-459. Construct contains the highly conserved noncoding sequence C99 from the human IRXB cluster, containing the genes IRX3, IRX5, and IRX6. TG44 is an enhancer trap line from the Skarmeta Lab. 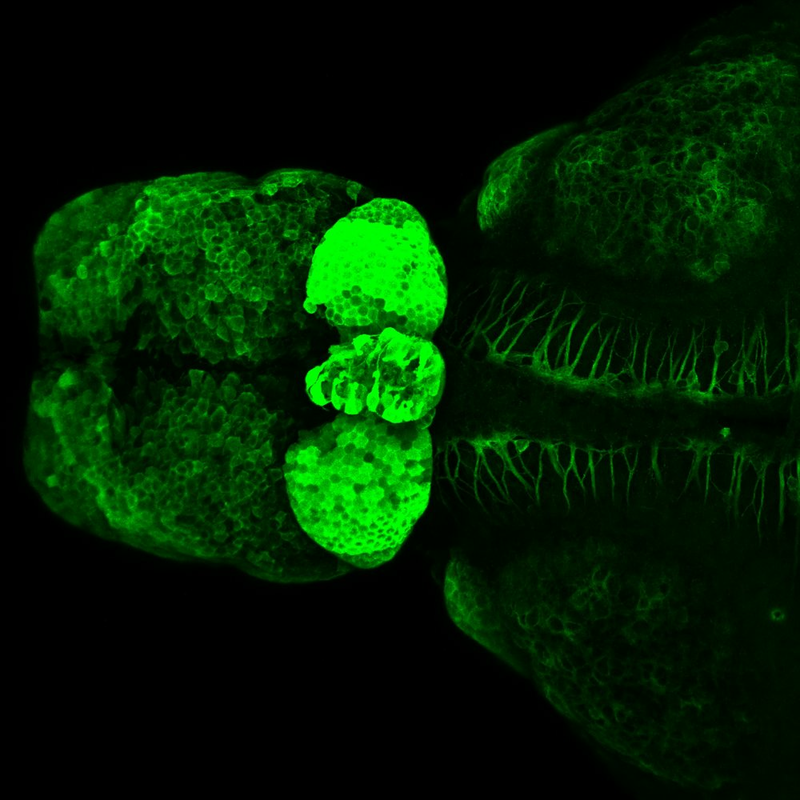 Generated as part of a study looking at the transcriptional regulatory properties of highly-conserved noncoding elements on chromosome 16.
section through hindbrain showing lateral cells surrounding axon tract.